I decided to do something I’ve only done once before. 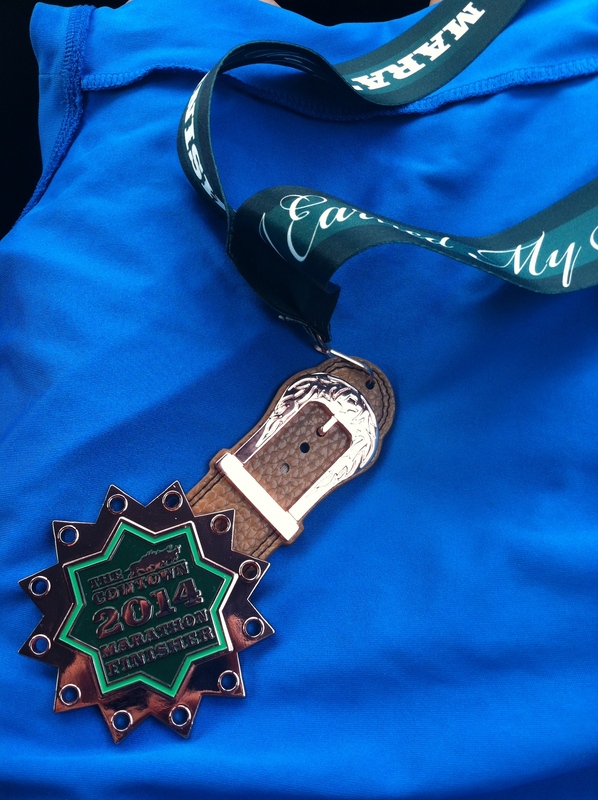 I ran a trail race. I was kind of nervous about doing it so close to Cowtown, (Ack! Is that this week already?) but I had a free registration from volunteering at the Lost Loop last fall. I am a cheap skate, and “free” is something I don’t usually pass on. I went into it with the intention to take it easy and slow, have fun, and just enjoy the different scenery – and footwork. I should know myself better than that. Easy and slow were not adjectives I would use to describe my race. 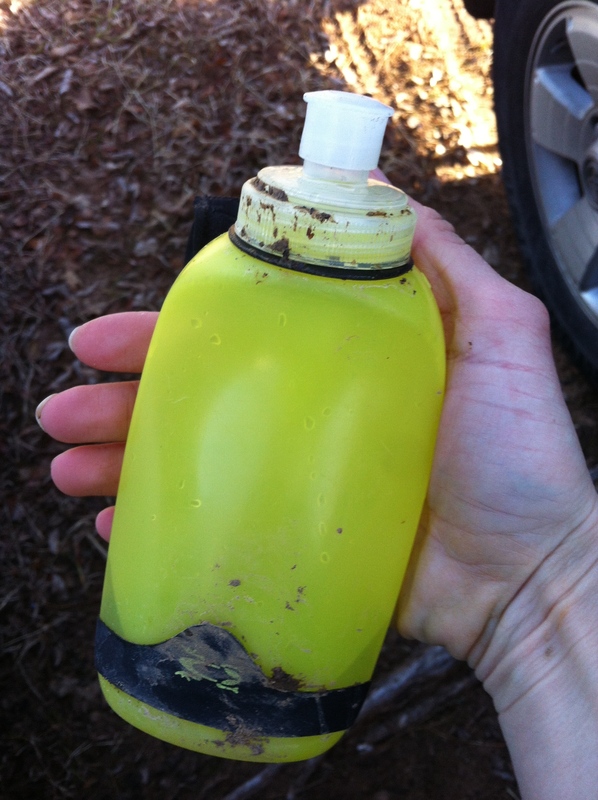 I fell before the end of the first mile – landed smack down on my handheld water bottle. I guess that kind of cushioned the fall. I was glad I didn’t wear my good tights, because that’s where I wiped the dirt off of my other hand. I’ve never fallen during a race, although I did trip on a root during a training run once, and it was strange to bounce right back up and take off again. I have to be honest here: there were a few times when I wondered “How the heck am I going to get up (or down from) here?” Tricky spots, steep uphills, and finding roots or trees to help me climb were just a few of the highlights. I stumbled a few more times, almost fell again, and at one point even sat down on a rock to scoot myself down a hill. 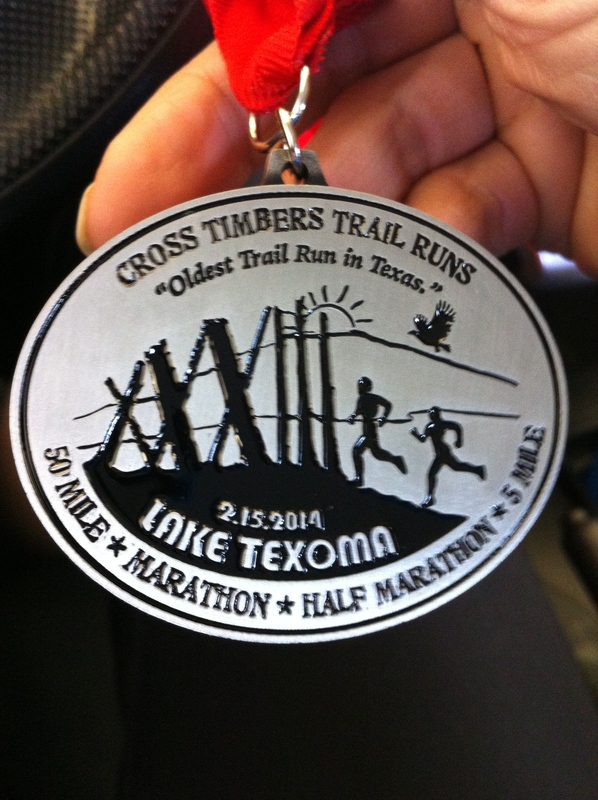 When I finished the Toughest Little Trail in Texas, I found out I was the second female to finish the 5 miler and 15th overall. Wow! All 5-milers got a medal! Other than my burning quads and aching upper body, oh, and the scratches on my leg, I feel pretty good about my race. I wonder how I could do if I actually trained on a trail once in a while. 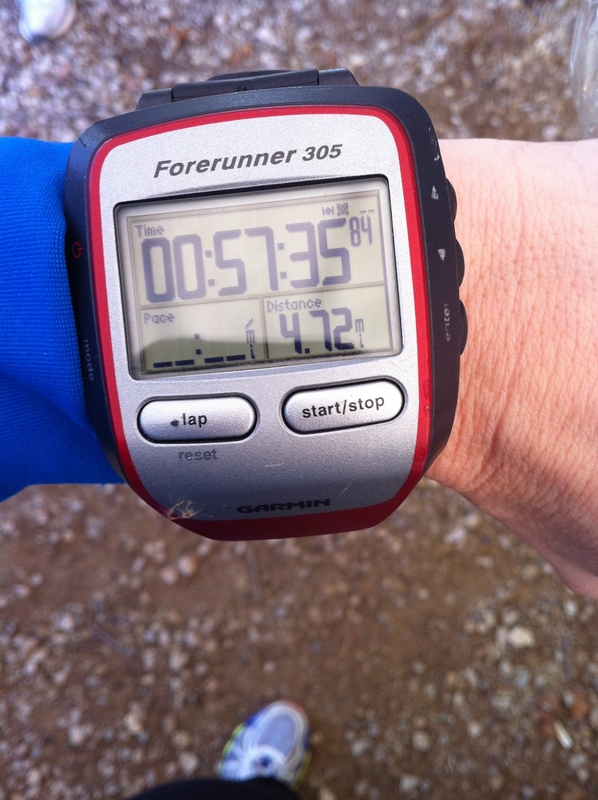 The hardest part for me was not checking my Garmin for my pace. 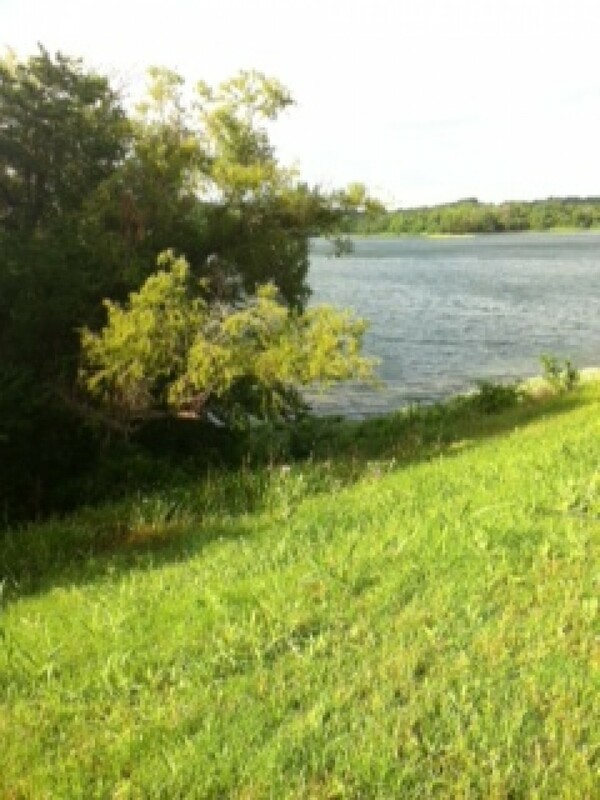 On Sunday, I took a nice easy eight mile run to kick off my last long run before Cowtown. I intended on running 10-12, but since the trail was so tough I wanted to play it safe and not push my body. I want to go to the race on Sunday well rested and ready to break 4 hours. What do you think about trail running? Have you ever done a trail race? In order to avoid the topic that is weighing so heavy on runners’ minds right now, all I will say about the weather is that I’m over paying for races that I don’t run and I’m really over layering up my basic Texas gear to stay warm. 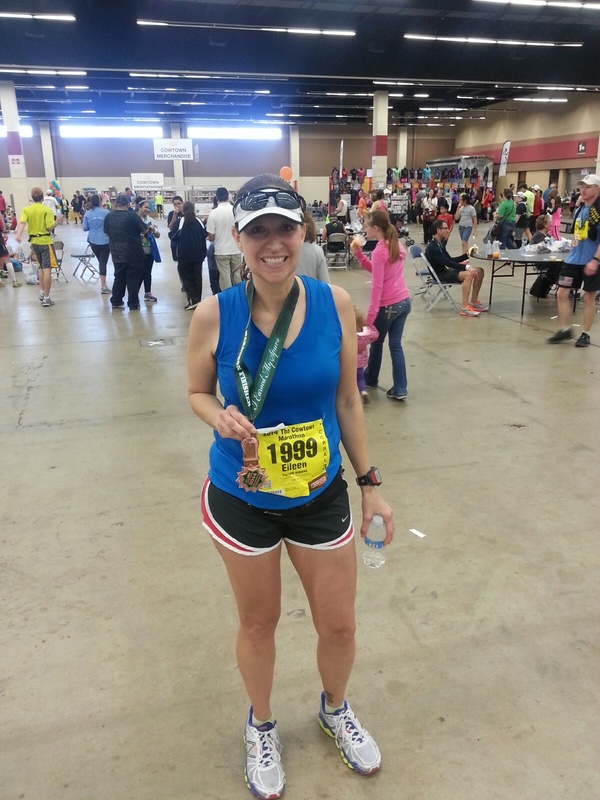 I chose to stay home for the Texas Half (February 2nd) due to the impending chance of sleet and freezing rain. I didn’t want to stress about driving home in it while running. 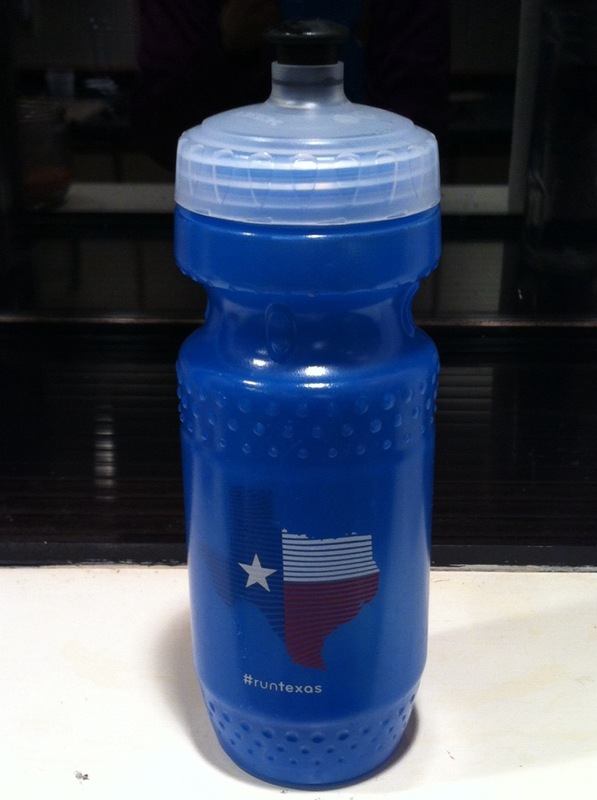 I think I was still in recovery mode from Houston though, and it was scheduled too soon to expect to run fast anyway. So I gave up my jacket and my race fee and squeezed a kinda sorta long run in at home before the sleet moved in. At least I have a participant shirt from the Dallas Marathon to show for that race fee. It’s short sleeves, so I’ll get to wear it again eventually. Since Houston, I’ve taken it easy on the mileage, listening to my body and getting to bed early (most days). I’ve been getting back to early morning running when the temperatures allow. Since I’ve [mostly] cut out Diet Coke, it’s been easier to get to bed and I feel rested. I’m still working on my attitude with my weight, and trying to cut back on the quantity. When you run 50 plus miles a week, it’s hard to adjust the eating habits back down. Unfortunately, the scale won’t adjust down either. Saturday, I ran 16 miles – my longest since Houston. Then it was time to head home and clean house. 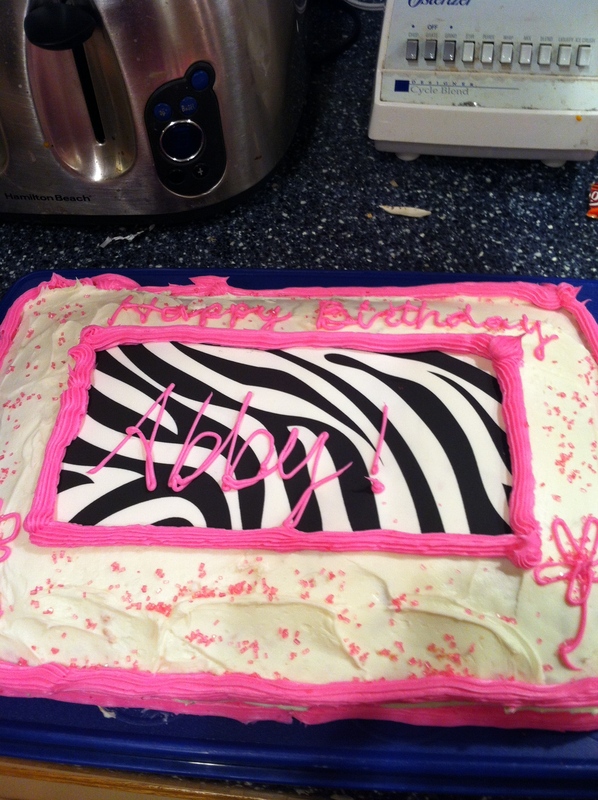 We celebrated my youngest daughter’s birthday with a party and her friends. Eighty rowdy fifth grade girls. It was a good time, but I was wiped out by the end of the day. Eating junk didn’t help either. I’m such a sucker for sweets. 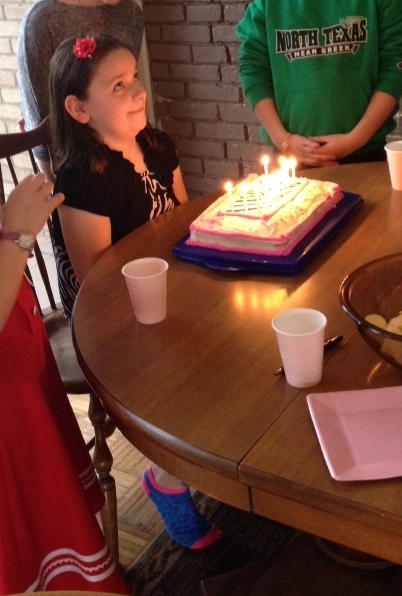 She takes her wish-making seriously. So now it’s time to get back on track. 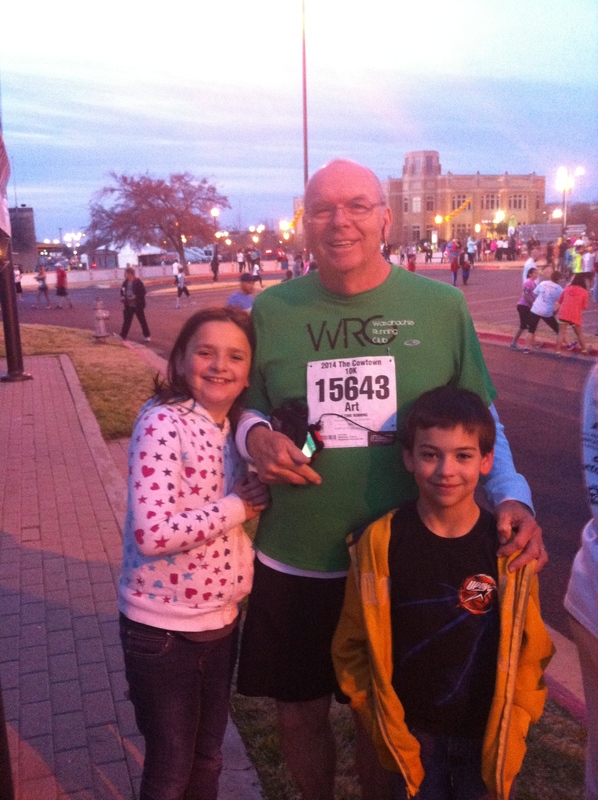 I’m tapering for the Cowtown Marathon on February 23rd. Ready for sub 4:00:00!